Mountain Huckleberries are a high elevation wild berry and the state fruit of Idaho. 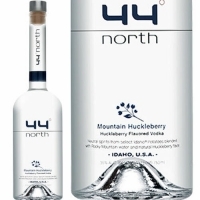 44 North blends them with Idaho Potato Vodka for a rich, natural flavor. 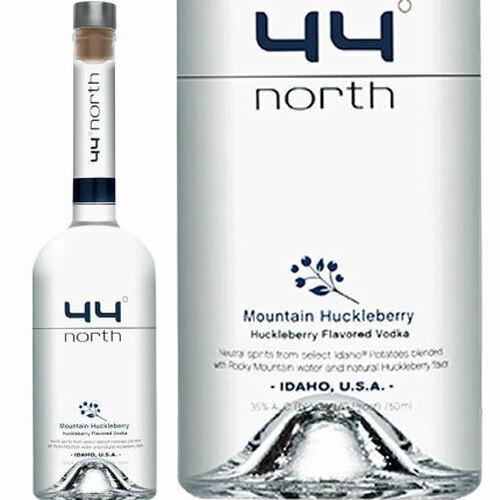 As the first vodka approved to wear the Idaho Potato Commission's official seal, this naturally gluten free Mountain Huckleberry Flavored Vodka is the ideal spirit for drinking chilled, straight-up, on the rocks, or in an infinite range of signature cocktails.